Amazing 3 bed, 2 bath, 2,181 sq. ft. home in Cape Coral, FL! Open floor concept. Lovely kitchen with custom cabinets and plenty of counter space. Spacious living room. Wonderful master suite. Hugh secondary rooms. Be sure to schedule your showing and make this your next home today! Beautiful 3 bed, 2 bath, 1,677 sq. ft. home in Fort Myers, FL! Lovely kitchen features lots of cabinets and plenty counter space. Spacious living room. Amazing master suite. Huge secondary rooms. Be sure to schedule your showing and make this your next home today! Perfect rental! 3 bed 2 bath plus den annual rental with pool available in Cape Coral FL. Features 3 bedrooms plus a den, neutral colors throughout and large sliding doors looking out to the lanai and pool area. Conveniently located near Veterans Parkway, Surfside Shops, Fort Myers Beach, Sanibel Beach, entertainment, schools and shopping. This is a great rental property and will not last long. Call soon! This property has such a super location. This home has 2 Master Suites, and is located on a nice Fresh Water Canal. Sitting out on your lanai for coffee or cocktails is a total pleasure. You are also close to many of the fine eating establishments on the Cape and you are close to the hospital. You can also travel the free bridge so going to downtown Ft. Myers is also an easy trip. Come and check out this nice home and you will not want to leave. Welcome home to this wonderful 3 bed, 2 bath, 1,482 sq. ft. home in Punta Gorda, FL! Lovely galley kitchen with granite counter tops and plenty of cabinet space. Spacious living room area. Master retreat features dual vanities. Huge secondary rooms with beautiful bathrooms throughout. Backyard oasis features sparkling pool. Be sure to schedule your showing today! This amazing 3 bed, 2 bath, 2,145 sq. ft. home in North Port, FL! Open floor concept with spacious living room. Elegant formal dining room. Lovely kitchen with lots of cabinets and plenty of counter space. Master retreat features dual vanities and walk in shower. Huge secondary rooms with beautiful bathrooms throughout. Nice back yard. Be sure to schedule your showing and make this your next home today! This wonderful 4 bed, 2.5 bath, 1,803 sq. ft. home in Lehigh Acres, FL! Open and spacious living room area. Lovely island kitchen features lots of cabinets and plenty of counter space with custom back splash. Elegant dinning room. Amazing master suite features walk in closet. Huge secondary rooms. Be sure to schedule your showing and make this your next home today! Beautiful Cape Coral ANNUAL rental home features a large screened in pool and is located right on a canal! Come see this outstanding Gulf access home with circular driveway, great room, and garden tub. 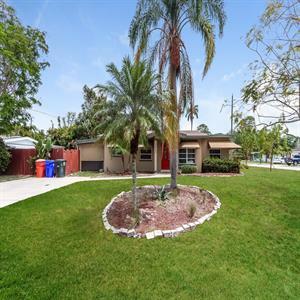 Enjoy the best of Florida living in this adorable ranch home under the shade of tall palms! This spacious 3-bedroom, 2-bath home with a 2-car garage offers a contemporary, yet functional floor plan. This home is immaculately clean, bright, updated and has a very private yard! This beautiful kitchen features newer stainless steel appliances and granite countertops with a tumbled marble backsplash. Fabulous Naples Park location, an easy bike ride to Delnor Wiggins State Park beach, Vanderbilt Beach, or shopping, dining and movies at Mercato, Waterside Shoppes, Ritz Carlton or Vanderbilt Pavilion! Don't miss this opportunity to move right in and conveniently enjoy all that Naples has to offer!